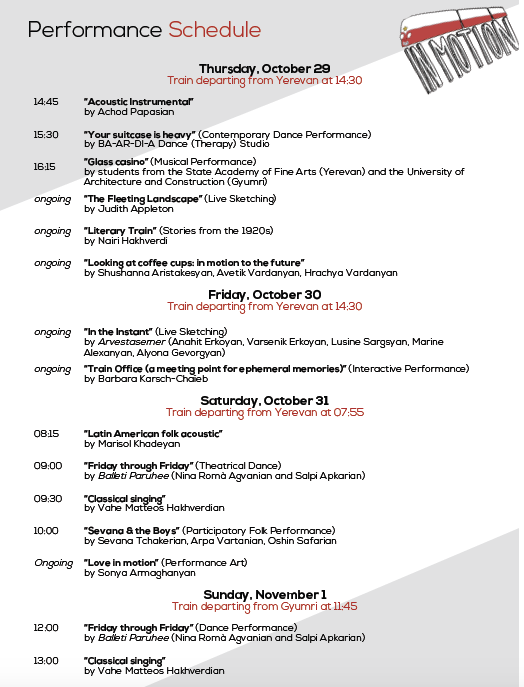 Download the program here (english) or here (armenian). During the day, we recommend visiting the city and the region! Our partner Shirak tours organize different tours (historical city tour, art tour… one for every taste!). Reservation is necessary: call them on 0312 53148.